•The WAIKANAE MUSIC SOCIETY has its own hour-long monthly radio programme "Concert Notes" which will be on Coast Access Radio. You can listen on 104.7FM on Tuesday 19th September at 8pm, and Thursday 21st September at 11.30am. Or you can listen now on your computer. 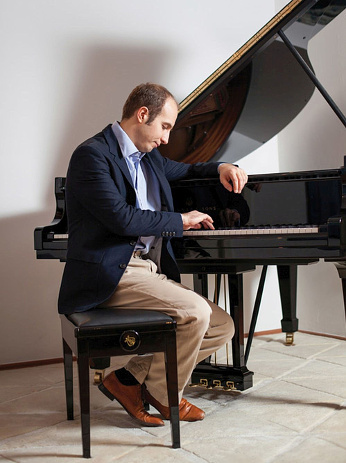 Click here "Concert Notes"
We are grateful to the Adam Chamber Music Festival for sharing with us one of their star attractions – Hungarian pianist Dénes Várjon. 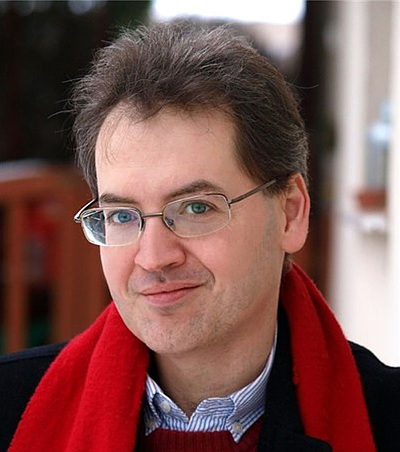 Highly regarded internationally as a soloist, chamber musician, artist leader of festivals and teacher, Dénes Várjon graduated from the Franz Liszt Music Academy (where he is now a professor) in 1991. He won first prizes at the Piano Competition of Hungarian Radio, the Leó Weiner Chamber Music Competition in Budapest and at the Géza Anda Competition in Zurich. Sought after as a chamber musician, he works regularly with such renowned partners as Steven Isserlis, Tabea Zimmermann, Kim Kashkashian, András Schiff, Heinz Holliger and Joshua Bell. As a soloist he is a frequent guest at major concert series, from New York’s Carnegie Hall to Vienna’s Konzerthaus and London’s Wigmore Hall. He also appears regularly at leading international festivals including Salzburg and Edinburgh. A recording artist with the Naxos, Capriccio and Hungaroton labels, his CDs include solo works by Berg, Janáček and Liszt, and he most recently recorded the Schumann concerto and all five Beethoven piano concertos. A tireless advocate for Hungarian music, he will include in his programme several works by Hungary’s two greatest composers, Liszt and Bartok. 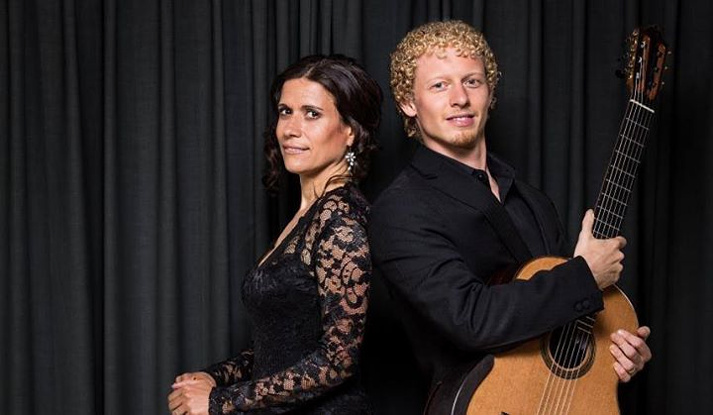 Visiting New Zealand for the first time is the duo of Swedish Johannes Möller and Argentinian Laura Fraticelli. They have performed to acclaim throughout Europe, North and South America as well as on radio and TV. In 2014 they released their first CD on the Naxos label featuring the music of early 19th Century composer Johann Kaspar Mertz. Here is what one of the critics had to say: "The playing of Johannes Möller and Laura Fraticelli is exquisite throughout. This is one of the loveliest albums I've heard in 2014, in any genre.” (American Record Guide) . Johannes Möller has captivated audiences around the world with his charismatic performances. In 2010 he was awarded first prize in the Guitar Foundation of America Concert Artist Competition, considered to be the most prestigious guitar competition in the world. In 2017 he will take up the position of Head of Guitar Studies at the Amsterdam Conservatory. Laura Fraticelli studied in Argentina before moving to Europe to study in London and the Netherlands. She has been praised for her beautiful tone and passionate interpretations. As well as the music of Mertz, their programme will include Argentinian tangos and their own original compositions, including Johannes’ delightful Chinese Impressions, inspired by his travels through China. We welcome back Donald Armstrong and the Amici Ensemble, this time with one of New Zealand’s finest pianists Jian Liu, to perform a seldom-heard work by Mendelssohn, the Piano Sextet, written when the precocious composer was only 16 – the same year as his remarkable Octet. Filled with grace and charm, the sextet is almost a piano concerto with a dazzling piano part that was apparently intended to display the composer’s virtuosity. The main reason this piece is seldom performed is its unusual instrumentation – requiring two violas and a double-bass, but only one violin. Luckily, violinist Andrew Thomson is also a viola player. The obvious companion piece, using almost the same forces, is that best-loved of all chamber works, Schubert’s delightfully melodious Trout Quintet. To complement and contrast those two large-scale romantic works, will be Shostakovich’s Second Piano Trio. This was completed in 1944, at a time when Shostakovich’s life was dominated by both national and personal tragedy. Apart from Jian Liu who is Head of Piano Studies at the New Zealand School of Music, the members of the Amici Ensemble are all section principals of the NZSO and their leader, Donald Armstrong, is the orchestra’s long-serving Associate Concertmaster. A concert in Waikanae by this much praised ensemble is well overdue. 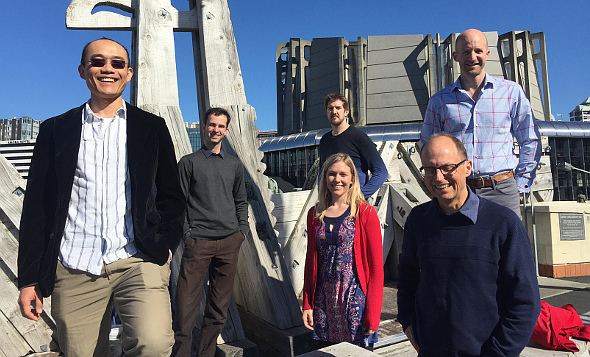 Made up of principal players from the NZSO, Zephyr has been described as rivalling world-famous wind ensembles. In addition to their orchestral work the members are all experienced chamber musicians, performing with groups such as Flight and the contemporary ensemble Stroma and most of them have also visited Waikanae at various times with the Amici Ensemble. Add to that the very considerable bonus of the wonderful Diedre Irons on piano, and we are in for a treat. Their programme will open with the Mozart Quintet for Piano and Winds. After it was premiered in 1784, Mozart wrote "I consider it to be the best thing I have written in my life." Then follows a delectable selection of French music from the early years of the 20th century. The French have traditionally excelled at writing for wind ensembles and wind groups must surely be very grateful to be able to draw on such a delightful repertoire. Francis Poulenc was one of those composers and we will hear two of his most charming works. In addition, we will be treated to the joyous exuberance of Jacques Ibert's Trois pièces brèves. “This group of five distinguished singers gave beautiful performances. What a privilege it will be to once again hear the glorious soaring beauty of Anna’s voice and the assured strength of Robert Tucker’s bass. The highly experienced mezzo soprano Maaike Beekman will replace Bianca Andrew who has commitments in the UK. 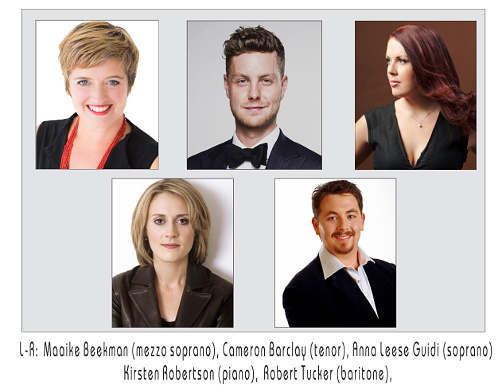 An intriguing new member of the ensemble is tenor Cameron Barclay who spends six months of each year touring the world as one of the Ten Tenors. 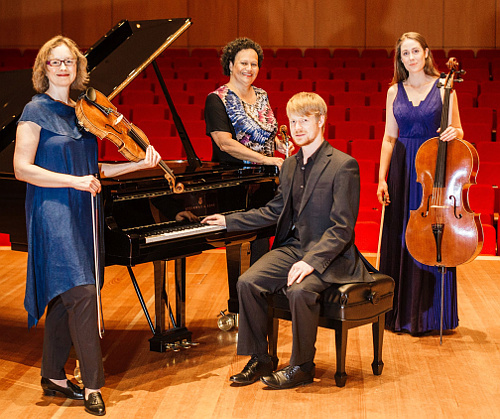 The Tākiri Ensemble is in fact a quintet, for pianist Kirsten Robertson (nee Simpson) plays a vital role in the partnership with her warm, ever supportive playing. The Kiwa Quartet was formed in 2015 by Malavika Gopal as part of a project supported by a Professional Development Grant awarded to her by the NZSO. The Quartet’s aim is to present the core masterpieces of the repertoire side by side with contemporary and ethnic music. Thus we will hear the quartets of Beethoven and Tchaikovsky alongside the music of New Zealand’s Gareth Farr and a brief taste of the American minimalist composer John Adams. Members of the quartet have widely diverse international backgrounds. Originally from Wellington, Malavika studied in Auckland, Boston and then Switzerland with numerous successes before returning to New Zealand to join the NZSO. Alan Molina comes to us via Indiana, San Francisco and the New World Symphony, followed by the Charleston Symphony before moving to New Zealand. Cellist Ken Ichinose began his musical journey in London, followed by extensive solo and chamber performances throughout Europe and orchestral experience with the Philharmonia Orchestra and the Academy of St Martin in the Fields. He is now Associate Principal Cello with the NZSO. Sophia, from Christchurch, studied in Wellington, Barcelona and the US. She is now principal violist of Orchestra Wellington while pursuing her interest in early music and chamber music. The Kiwa String Quartet concert is part of a Chamber Music New Zealand tour. It is a special delight when recipients of our Charitable Trust scholarships arrive on our stage as professionals. Such is the case with James Jin, raised in Wellington, a graduate of the New Zealand School of Music and the San Francisco Conservatory and now Associate Principal Second Violin with the Auckland Philharmonia. James will lead the recently formed Auckland Trio in which he is joined by pianist Xing Wang and cellist James sang-oh Yoo. Xing Wang also studied at the San Francisco Conservatory and the New Zealand School of Music where she is now working towards her PhD in piano performance. Both she and James Jin have been winners of the school’s prestigious Concerto Competition, James in 2014 and Xing Wang in 2015. Cellist James sang-oh Yoo studied in Australia and then Germany, winning numerous prizes, performing widely as concerto soloist and chamber musician and holding leading orchestral positions in both countries. He is now Acting Sub Principal Cello with the Auckland Philharmonia. The concert will open with a Mozart Piano Trio, followed by Kodály’s rhapsodic Duo for Violin and Cello. After the interval we can enjoy the lush Russian romanticism of Arensky’s first piano trio. 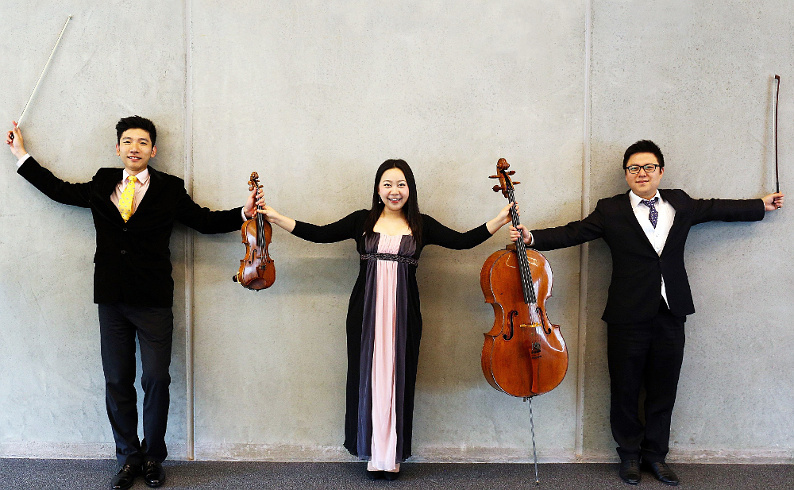 The Auckland Trio concert is part of a Chamber Music New Zealand tour. A visit back to New Zealand by Wilma Smith is always a great treat and this time she brings with her not only one of Australia’s most distinguished violists in Caroline Henbest, but two of this country’s rising young stars who are both studying at the Australian National Academy of Music in Melbourne. They are touring throughout the country for Chamber Music New Zealand, but for Waikanae Music Society the tour has extra significance, because the two young musicians are both scholarship recipients from our Charitable Trust – pianist and composer Andrew Leathwick and cellist Alexandra Partridge who has the added distinction of having been brought up on the Kapiti Coast. Wilma Smith is, of course, one of New Zealand’s most celebrated violinists, founding leader of the New Zealand String Quartet, former Concertmaster of the NZSO and more recently Concertmaster of the Melbourne Symphony Orchestra. Each year she puts together different groups of musical friends she thinks might create some exciting chemistry, to perform everything from revered masterpieces to premieres of new works. For this concert, as well as the standard masterpieces by Beethoven and Dvořák, we will hear a piano quartet by Andrew that Wilma has commissioned especially for this tour. The Wilma and Friends concert is part of a Chamber Music New Zealand tour. Alexander’s CDs have also earned prolific praise, for example: “... a virtuoso in the fullest sense.… he remains among an elite able to reach out far beyond mere proficiency to the musical heart... Gavrylyuk is as vivid and characterful as he is dextrous.” (Gramophone Magazine). There is little doubt that all these attributes will be found in a programme that ranges from Busoni’s virtuoso transcription of Bach’s famous organ work, through the sparkling clarity of Haydn to a generous selection of beloved Chopin Etudes and Rachmaninov Preludes, plus Scriabin’s Sonata which the composer described as “a great poem for piano” and culminating in Rachmaninov’s fiery second sonata. Not to be missed. Alexander Gavrylyuk’s concert is generously sponsored by the Deane Endowment Trust. "These pages were last updated on September 26th, 2017"